The picturesque beauty of the unspoiled, pristine wilderness of the Louisiana Purchase juxtaposed with the intensely graphic, brutal hostility and violence of the wholly uncivil 1820s. Scenes of chaste, purifying snow falling onto any number of bloody and/or burning masses. 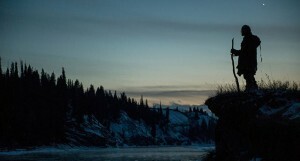 This is the backdrop for The Revenant, brilliantly directed by Alejandro G. Iñárritu with unfathomable cinematography by Emmanuel Lubezki (the things he captures will blow your mind). The Revenant is the nearly two century-old story of Hugh Glass (played by Leonardo DiCaprio), Scots-Irish frontiersman and fur trapper, based upon author Michael Punke’s The Revenant: A Novel of Revenge. A revenant is “one who returns after death or a long absence” and in this case, Glass was a man who should have been dead any number of times and may have in fact, come back from the other side. The film begins as a group of several dozen frontiersmen led by Captain Andrew Henry (Domhnall Gleeson – a favorite of mine and a man to watch) are whittled down considerably, due to a vicious attack by arrow-wielding, angry Native American Arikara tribesmen in search of the chief’s kidnapped daughter. Glass narrowly escapes and he, with the remaining men in his expedition, press on. If the brutality of the opening scene doesn’t knock you for a loop, then the well-known attack on Glass by a protective mama grizzly that follows will utterly wreck you. And just when you think the carnage is over, it begins again, and then again. The ferocious authenticity of this scene is not for the faint of heart (a category into which I squarely fall) – the nearly painful, visceral response one has to this savagery stays with you long after the film has ended. 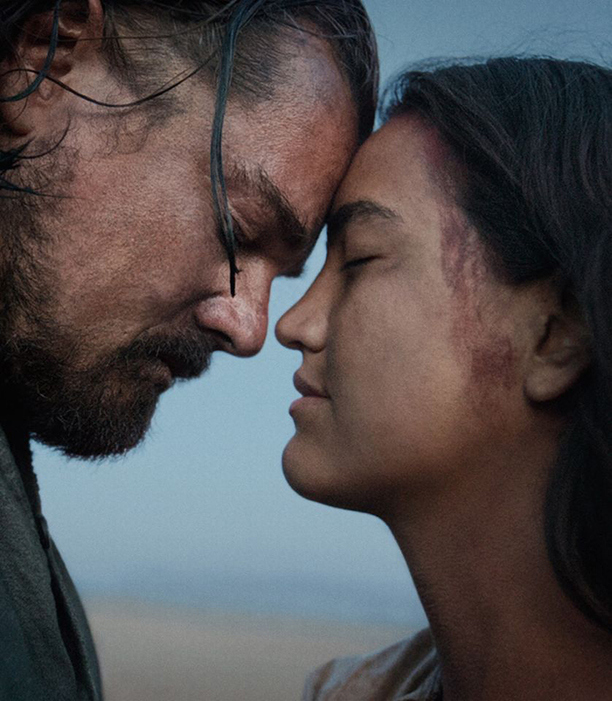 DiCaprio captures the essence of a man who is in truly exceptional, unimaginable physical pain and on the verge of death – and you feel it to your own core with his every ragged breath. As the bedraggled men attempt to negotiate the icy terrain with Glass in a makeshift stretcher, they ultimately must make a decision for the greater good of the group. 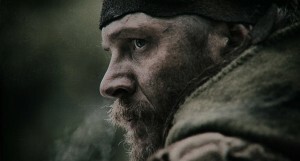 After some deliberation, he is left with three men from the group: John Fitzgerald (Tom Hardy), among the meanest on-screen reprobates I’ve ever seen; Glass’ young half-breed son, Hawk (award-winning young director Forrest Goodluck); and young, naïve Jim Bridger (Will Poulter of We’re the Millers and The Maze Runner fame). Their task is to watch over him until his anticipated death, then provide him with a “proper burial.” But he doesn’t die and to add insult to injury, Glass experiences even crueler, emotional torment at the hands of Fitzgerald (I’ll leave out the spoiler). How he survives is incomprehensible – what drives him and his will to live may be revenge or something more, something deeper, possibly even something spiritual. 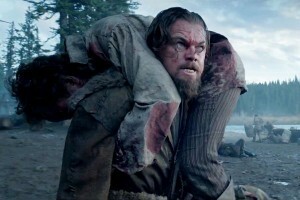 DiCaprio’s mastery of the film’s dialogue is something of a distant second to the physical demands of his character. After a severe injury to his throat, Glass emits little beyond guttural sounds and barely discernible raspy words – but the actual art of communication is less than ten percent spoken word. 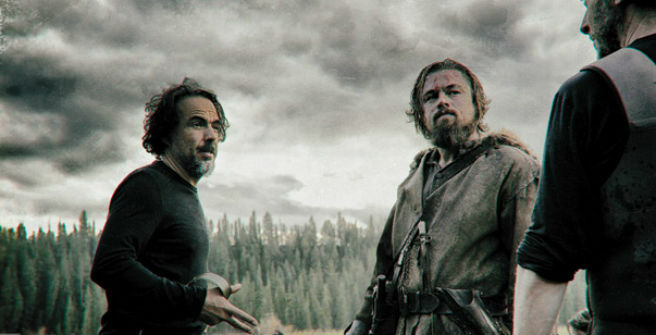 What DiCaprio instead captures in facial expression and the contortion of his body says a thousand times more. As he drags his broken body hundreds of miles ultimately to find Fitzgerald, you are torn and bruised by each branch and stone over which he crawls; you too are seared by every gust of wind which slaps his face; and you are cut to the core by every frigid stream he traverses. 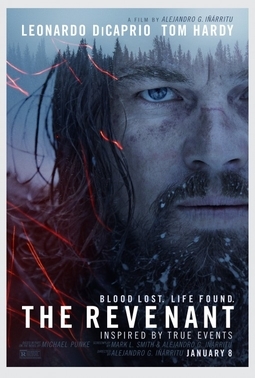 Even though I think of myself as a highly astute, sophisticated, literary culture vulture – I had to look up what the word “revenant” means. According to the world’s definitive internet source (Wikipedia) “revenant” is a visible ghost or animated corpse that was believed to return from the grave to terrorize the living. 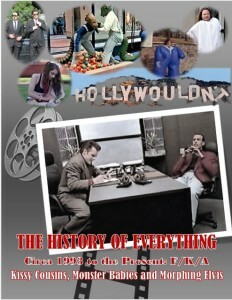 It’s a perfect title for a perfect film. The plot is fairly uncomplicated and, at first blush, might be taken as a simple tale of revenge. Hugh Glass (Leonardo DiCaprio), a fur trapper, is mauled by a bear and left for dead. Through sheer will power coupled with survival skills (I would want him in a zombie apocalypse), Glass is able to endure and exact his revenge. But like Shrek’s onion analogy, upon closer inspection it has a lot of layers. 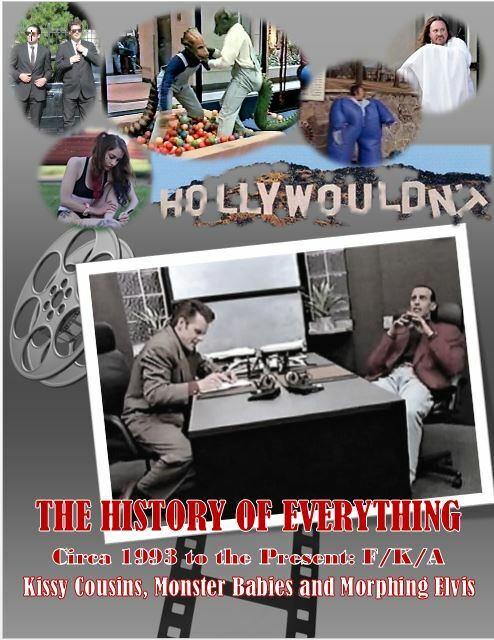 The film deals with racial prejudice, greed, lust, the will to survive, revenge, and forgiveness. 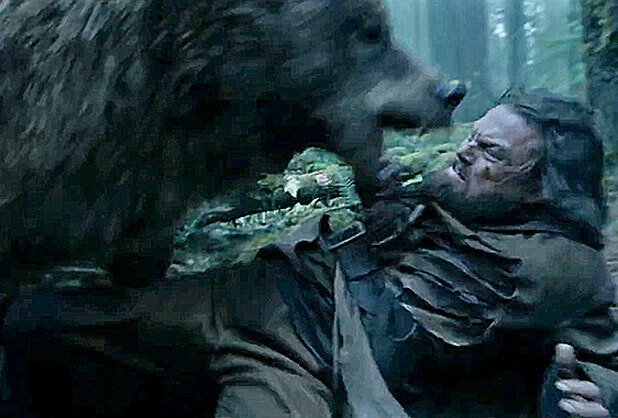 Leonardo DiCaprio has given his best performance to date. It will be hard for the Academy to snub this performance. His nemesis, John Fitzgerald, is played by fellow Inception actor, Tom Hardy. 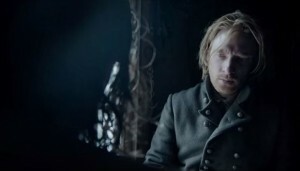 Hardy also gives his best performance to date. There were times when I wanted to jump through the screen and beat the ever lovin’ s#&@ out of him. My wife and I fell in love with Domhnall Gleeson in About Time. 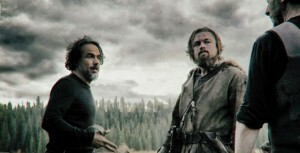 He has proven his versatility and range with a string of roles including Unbroken, Star Wars VII: The Force Awakens, Brooklyn and now The Revenant as Captain Andrew Henry. 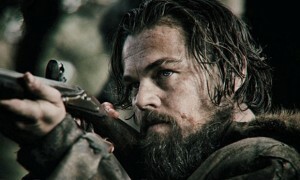 Will Poulter proved he can do more than run a maze as the naïve Jim Bridger. Forrest Goodluck (yes, he really is a Native American) played Glass’s half-breed son with great verisimilitude (Forrest may be new to acting, but has been directing since childhood – he is definitely one to watch in the future). When you compare The Revenant to some of the other top films in the genre, the horse race is not even close. To those others, eat your heart out, including: The Grey with Liam Neeson; Jeremiah Johnson with Robert Redford; The Patriot with Mel Gibson; The Last of the Mohicans with Daniel Day Lewis (sorry, Daniel, but you were better as Lincoln); The Alamo with John Wayne; and Flaming Star with Elvis Presley (I had to throw that last one in as a die-hard Elvis fan). 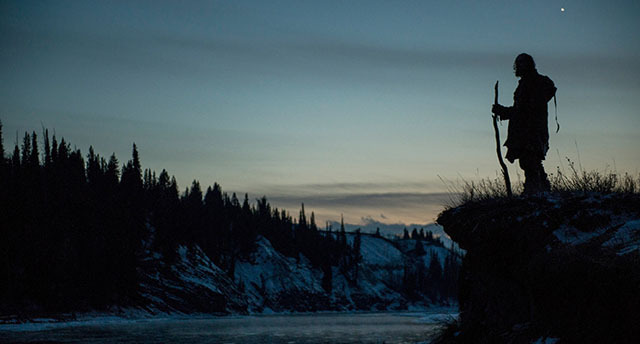 The Revenant is yet another film that reminds me why I always wanted to be a filmmaker.